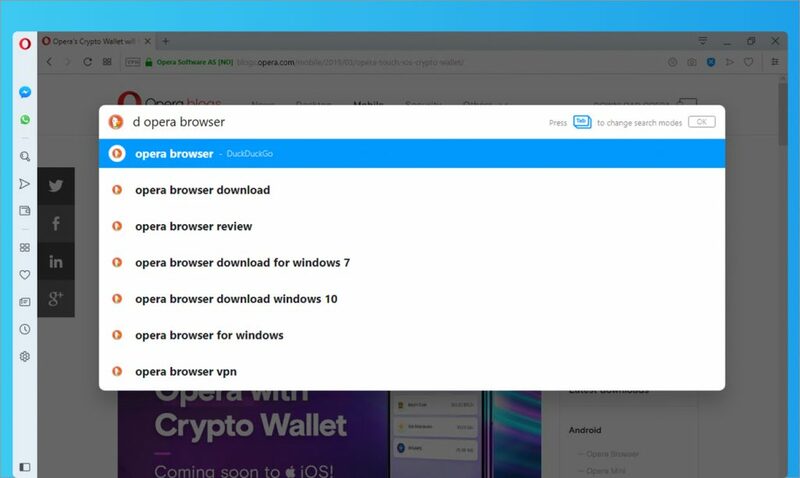 In Opera, you can choose from a variety of search engines when querying the Web with the combined address and search bar and the search pop-up tool. In Opera, go to Settings. Scroll down to Search engine. Choose a search engine in the dropdown menu. How do I use a different search engine in Opera without changing the default engine in settings? 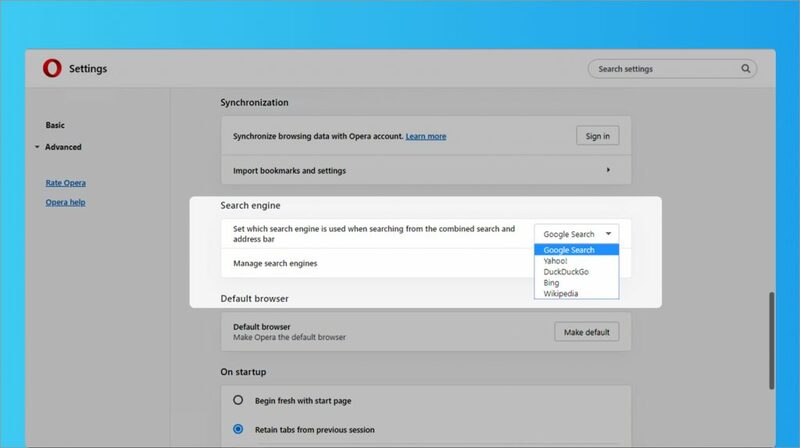 You can search the Web with an alternative or a custom search engine without needing to change the default search engine in Opera’s settings. To choose a search engine via icon selection, first, click the combined address and search bar and type your query. In the bottom-right corner of the search window, you will see icons of the available search engines in your Opera browser. Click the icon of the engine you wish to search with, then press Enter on your keyboard to complete the search. To choose a different search engine by using the target search engine’s keywords, first, click the combined address and search bar and type your target search engine’s keywords. For example, DuckDuckGo uses d.
Add a space between the keyword and your search query: “d opera crypto wallet.” Press Enter on your keyboard to complete the search. With Opera’s search pop-up tool, you can highlight text on a web page and use the selected text as a search query. The search pop-up tool uses your default search engine. However, you may want results from another engine after highlighting text for a search query. To search using the context menu, highlight some text on a web page and right-click (or Ctrl + click) the selection. In the pop-up window, hover your mouse over Search with, then select the search engine you wish to use. The results of the search will open in a new tab. The Instant Search tool will use Google as its default search engine, even if you have assigned a different engine in the browser. However, you can use keywords in the Instant Search omnibox to search with a different search engine. To do this, open Instant Search by pressing Alt + Space on your keyboard. Then, type the search engine’s keywords, add a space, then type your search query. Press Enter on your keyboard to complete the search. You can read more about how to use the Instant Search feature here.